Why choose Travik chemicals products? When we take an enquiry for a new product at Travik Chemicals Ltd, we firstly check our huge range of products already developed, and decide if we have a product to complete the task required, or start to develop a new product. 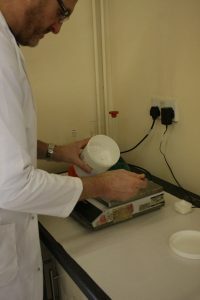 We have inhouse chemists, who put their years of experience to work, developing new formula’s using the latest technology within the Industry. Please do get in touch should you have a product your need to develop, or one that is no longer available due to ingredients being outdated or no longer in use. Call the team on 01325 307000 for further assistance.